When I was 3, I had a 10-year-old brother, and deep in my heart I hoped that when I grew up, I’d be just like him. Not that I stood a chance. Etgar Keret writes about his brother Nimrod [from EK news, via Nimrod’s twitter]. This entry was posted in Blather and tagged etgar keret, thedod on March 23, 2010 by Dotan Dimet. This entry was posted in Comics and tagged batman, goddamn batman on March 22, 2010 by Dotan Dimet. 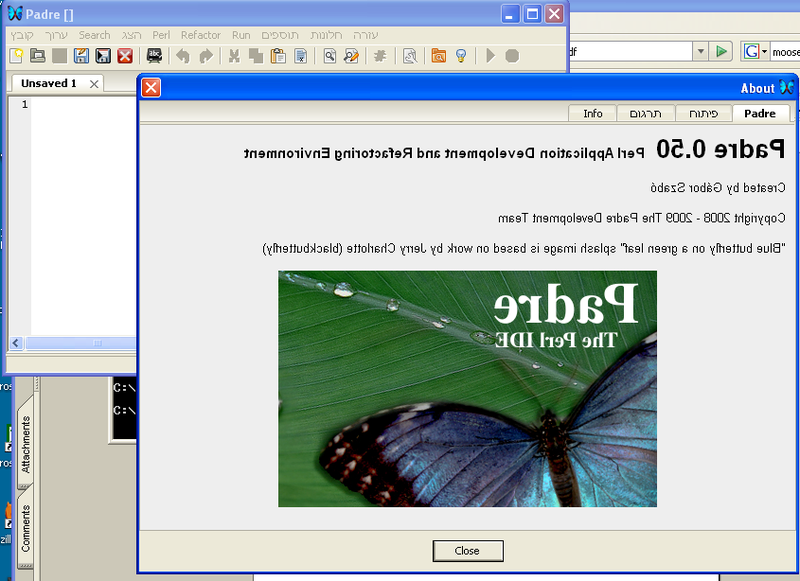 Padre is a perl editor written in the wxwindows toolkit and translated into multiple languages. This entry was posted in Blather and tagged padre, wxwindows on March 16, 2010 by Dotan Dimet. Ask Bildad: Why are people in Haifa so nice? The Thespian is moving to Haifa, following the vagabond vagaries of the acting life, and reports from his reconnoitering: People there are very nice! Twice a woman in the street said “Hello” to me. Me: Saying hello to strangers on the street? Why is it that these northerners have no proper manners? One who plays Bildad in the newspaper: Well, Haifa is all stairs, so Haifa people are super-good at climbing stairs. So they don’t get any elevator practice. This entry was posted in Blather and tagged בלדד השוחי, הומור פנימי on March 14, 2010 by Dotan Dimet.